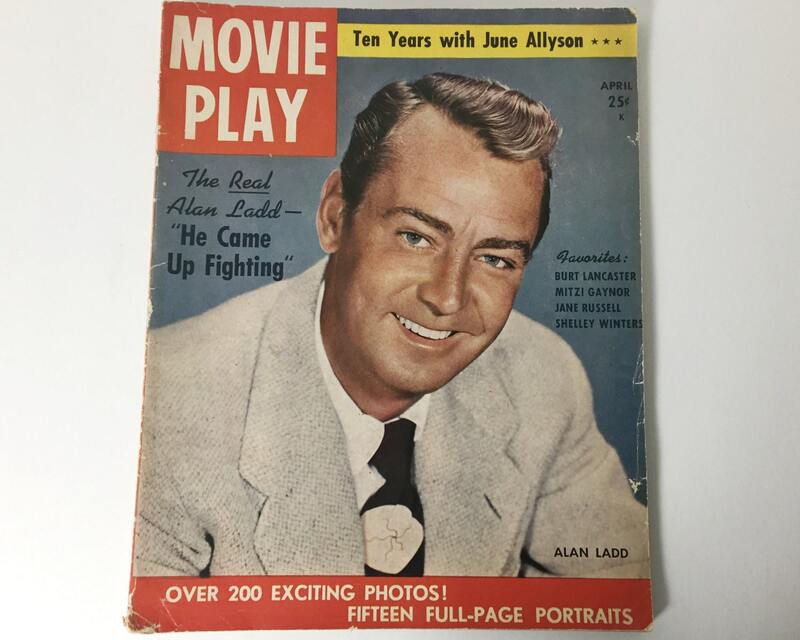 This April 1952 vintage copy of Movie Play Magazine promises over 200 exciting photos, and it delivers - and it includes 15 full page portraits of classic movie stars from the Golden Age of Hollywood - including young Rock Hudson, young Kirk Douglas, Jane Russell, June Haver, and on the cover: Alan Ladd. 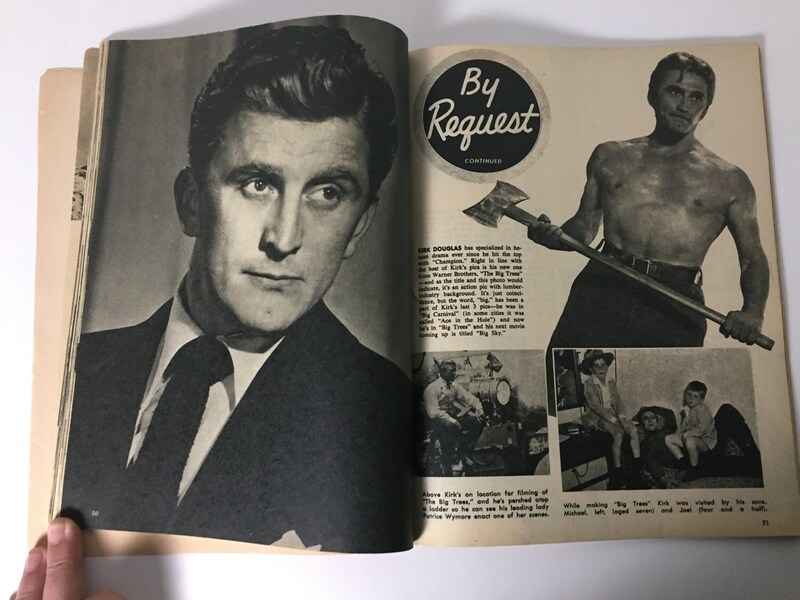 There are many many more great stars in this issue. it's quite thick too. 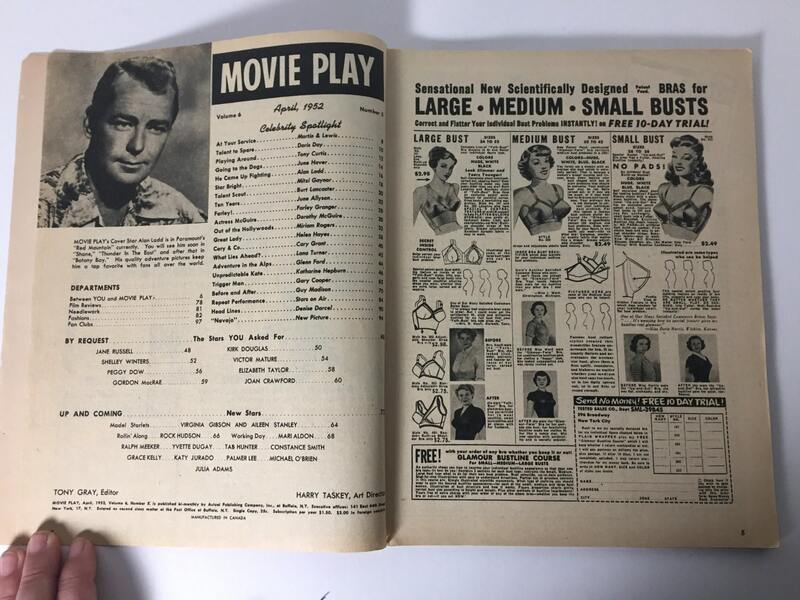 I can't find any history on Movie Play magazine, but it seems to be one of the many monthly movie fan magazines that used to exist focusing on Hollywood movie stars, photos and gossip. 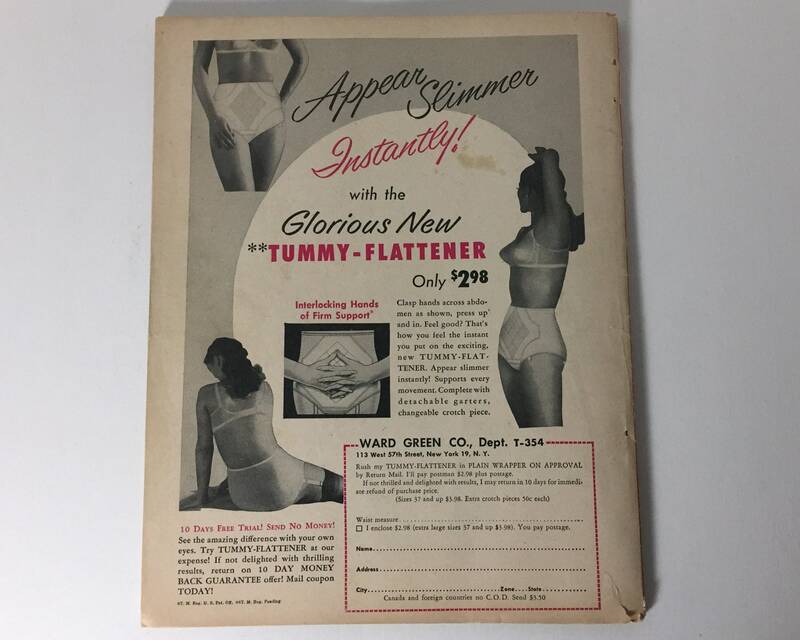 CONDITION: Good to Very Good. 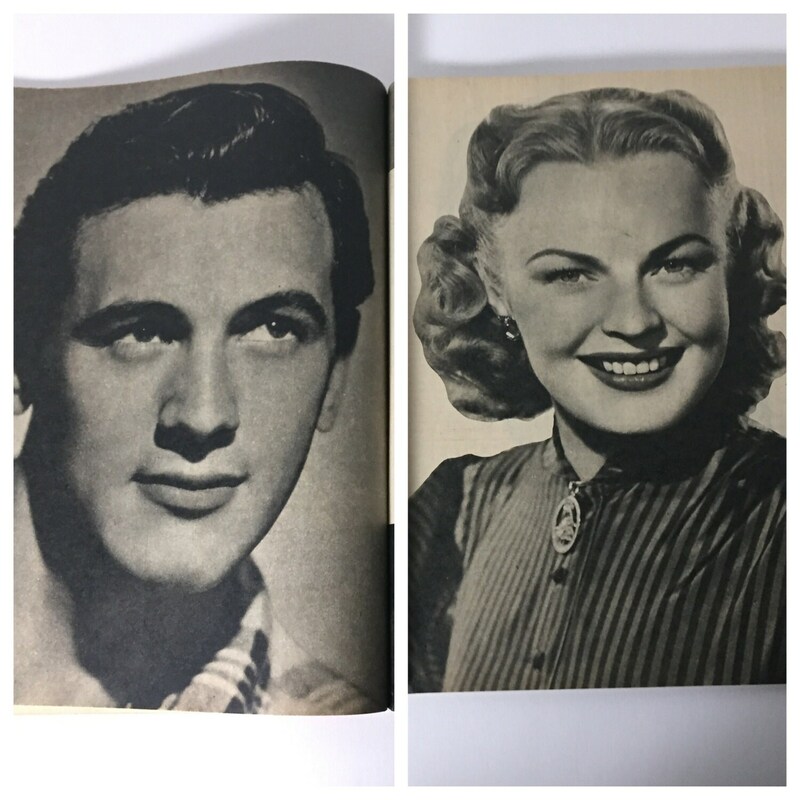 There is some wear and tear on the cover, including short tears, but otherwise tight, and full of great photos.